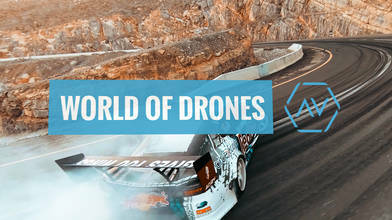 AirVuz News has everything you need to know that’s happening in the World of Drones. Team AirVuz Pilot JohnnyFPV uploaded this incredible video of some of this recent flights which include flying during the Formula Drift season and for actor Will Smith’s Bucket List. Authorities have identified the juvenile that flew a drone over Boston’s Fenway Park during a Red Sox game last week. The investigation with the FAA is still ongoing and it’s unknown what criminal charges the juvenile will face. Let this serve as a friendly reminder that with baseball season here, it is illegal to fly your drone over a stadium during a game. In other news, police are now using drones to respond to emergencies in one California city. The Chula Vista police department will send out a drone to investigate a crime as its occuring. The drone sends a live stream of the crime in progress to the officers’ smartphones letting them decide out how to approach the situation. Another drone delivery service has launched. This one in Australia by aircraft delivery company, Wing. The drones are able to drop a variety of small products to customers backyards within minutes of ordering them. The Drone Video of the Week winner will be announced tomorrow. Check back to see who got the most votes and will win $250. Our Tyler Mason chatted with aerial photographer and videographer Hayden Kast on the latest episode of The Drone Dish. Keep an eye out for that on AirVuz.com this week. As always AirVuz news will keep you posted on what’s happening in the World of Drones. Ackerman, Evan. “Wing Officially Launches Australian Drone Delivery Service.” IEEE Spectrum: Technology, Engineering, and Science News, IEEE Spectrum, 11 Apr. 2019, spectrum.ieee.org/automaton/robotics/drones/wing-officially-launches-australian-drone-delivery-service. Chen, Natasha. “Drones Are Responding to 911 Calls in This California City.” CNN, Cable News Network, 12 Apr. 2019, www.cnn.com/2019/04/12/us/california-drones-emergency-response/index.html. “Drone Flies Over Fenway Park During Red Sox Game.” CBS Boston, CBS Boston, 11 Apr. 2019, boston.cbslocal.com/2019/04/11/drone-flies-over-fenway-park/. Gleeson, Scott, and USA Today. “Police Identify Juvenile Who Flew Drone at Fenway Park during Red Sox Game.” Finger Lakes Times, 14 Apr. 2019, www.fltimes.com/news/nation/police-identify-juvenile-who-flew-drone-at-fenway-park-during/article_6cfc6f1e-de4f-59e9-9e00-f64917b2dcf3.html.